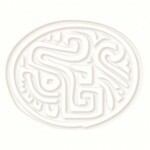 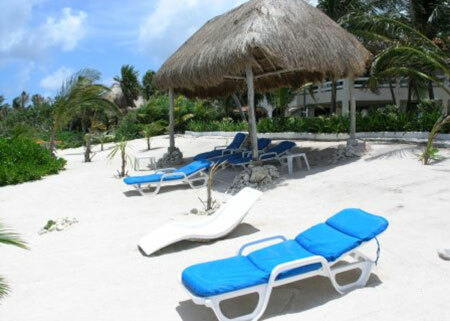 Seven Seas condominiums are a bit more exclusive than most beach front condos in Akumal simply because they are in South Akumal, a private gated residential community of beach front villas. 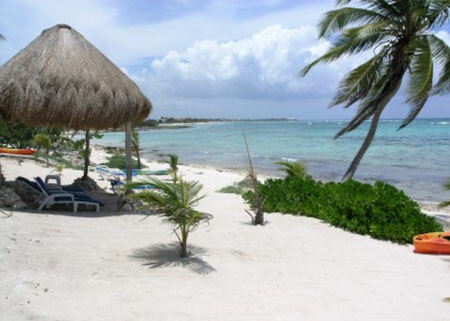 Here you have the benefit of a short, smooth entry road; security gate; a quiter atmosphere without restaurants, bars and stores, and far fewer people. 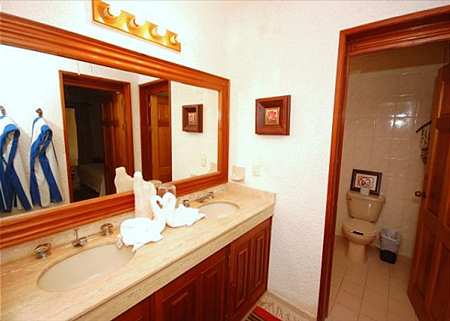 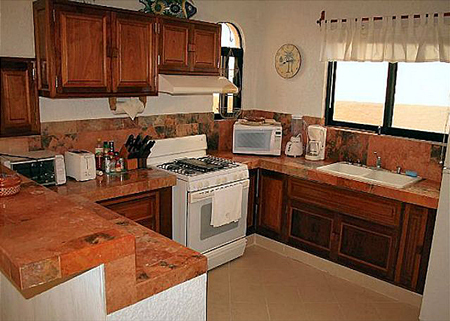 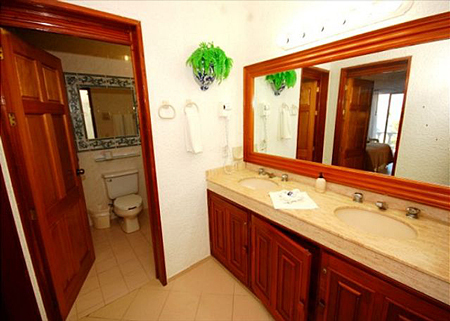 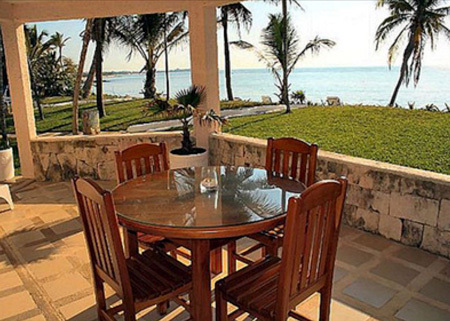 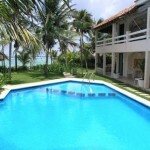 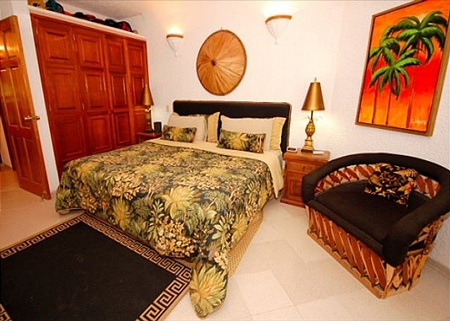 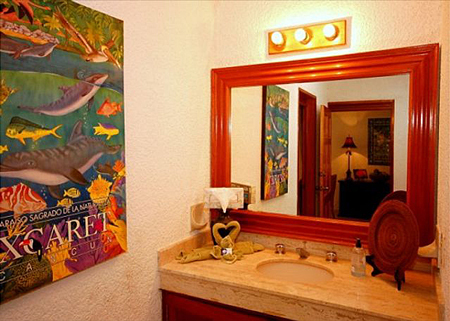 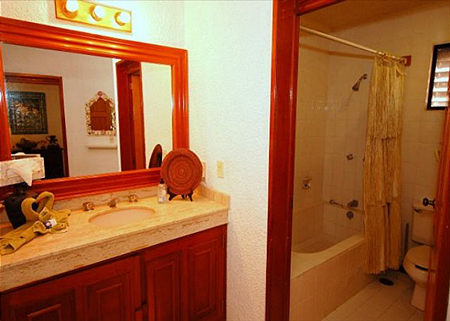 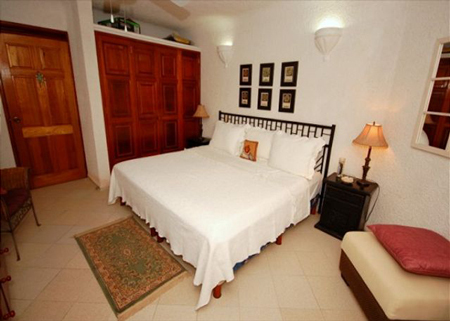 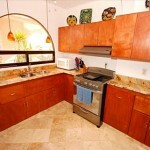 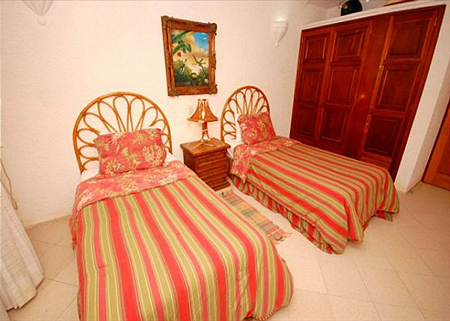 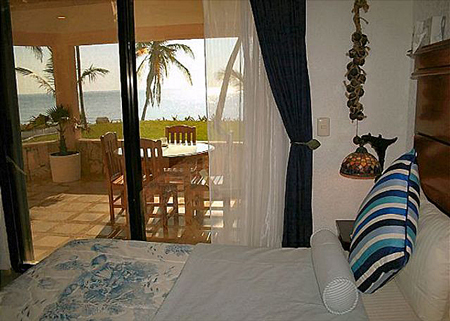 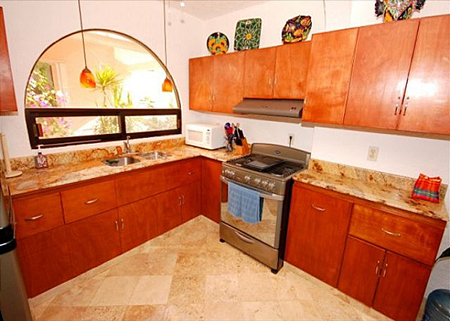 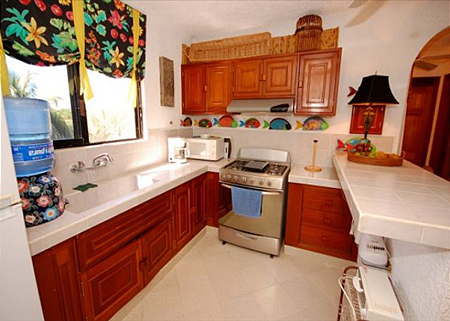 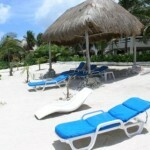 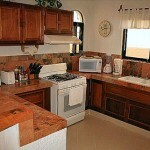 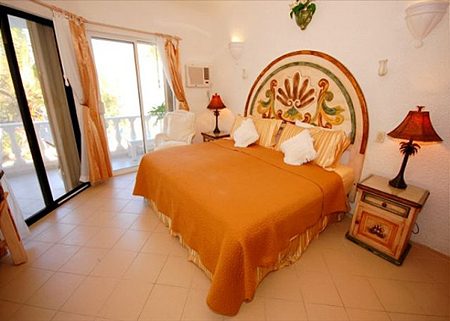 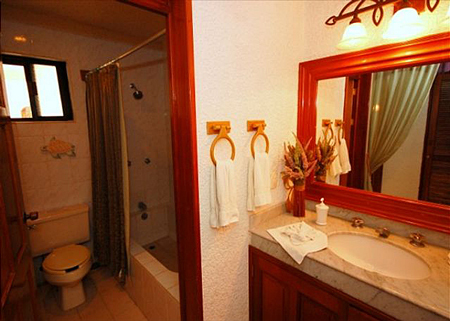 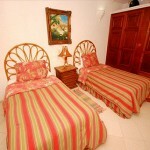 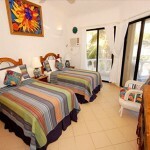 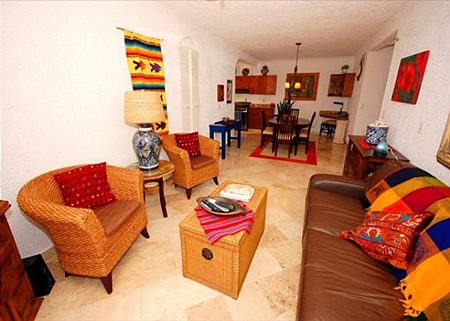 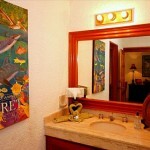 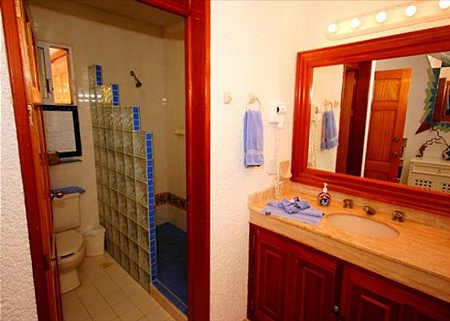 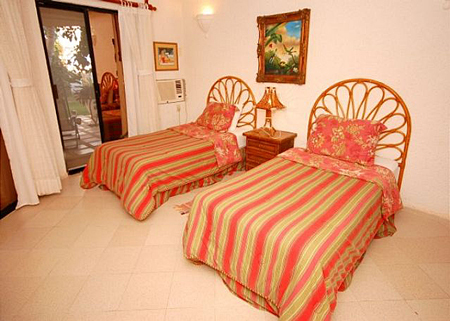 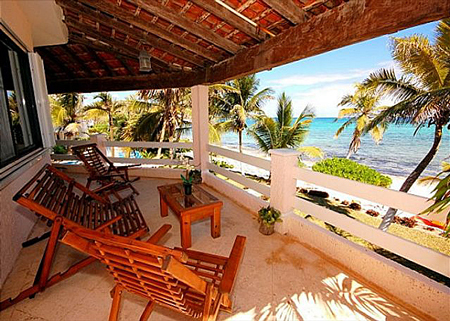 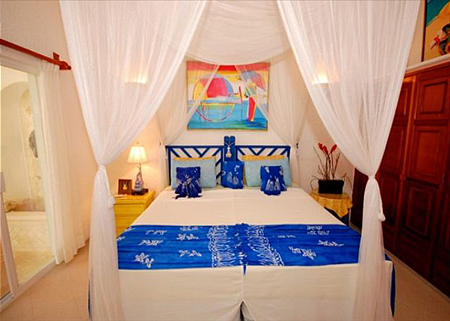 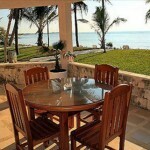 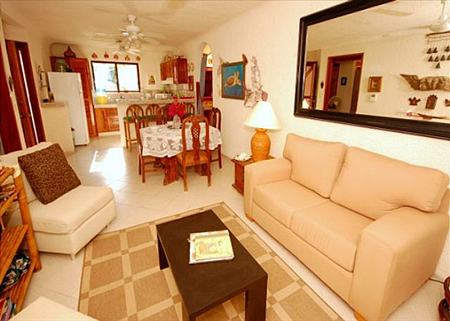 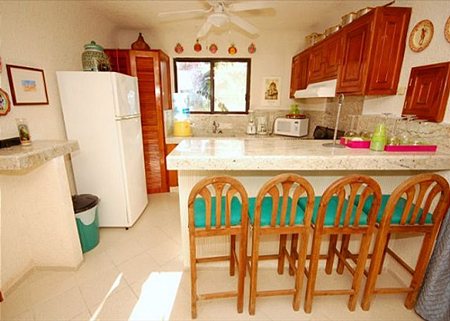 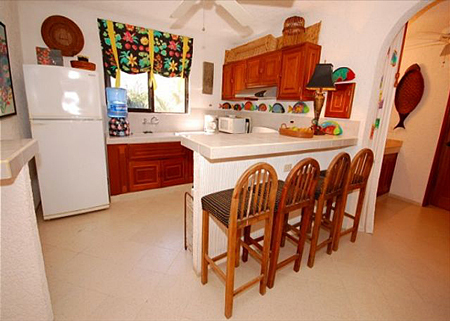 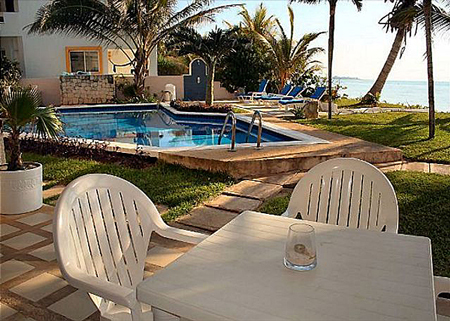 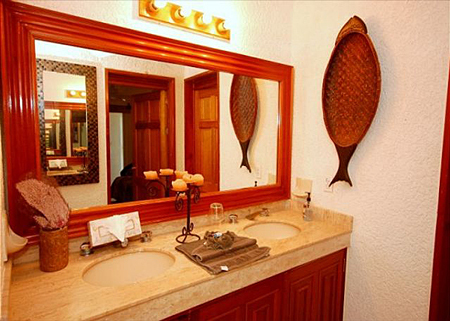 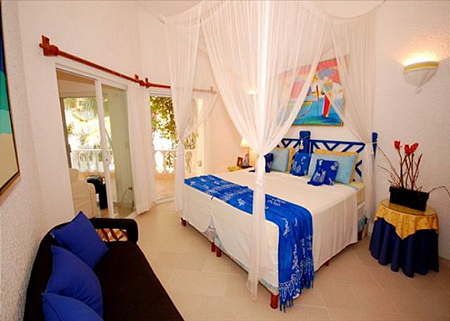 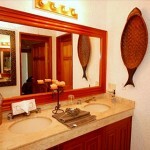 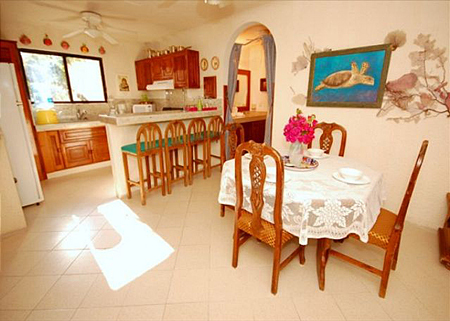 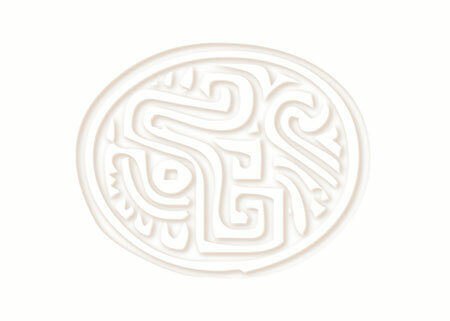 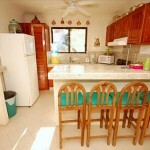 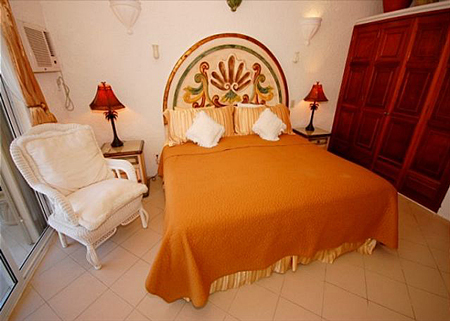 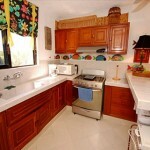 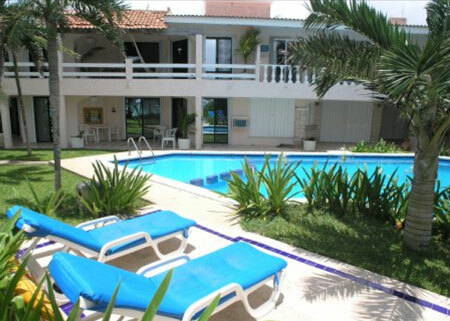 Central Akumal is just five minutes away (2½ miles) by car for all your vacation needs. 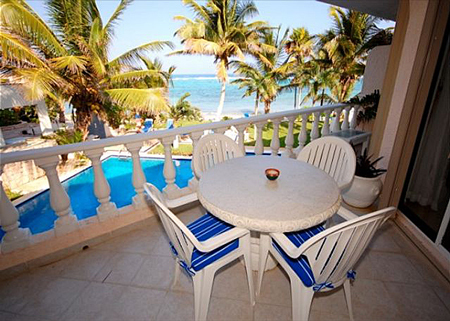 There is a beach front swimming pool directly in front of the condominiums and then beautiful South Akumal beach and the Caribbean. 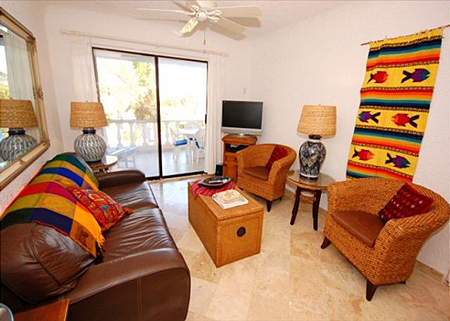 The lower level condos all have sliders that open directly onto the pool area. 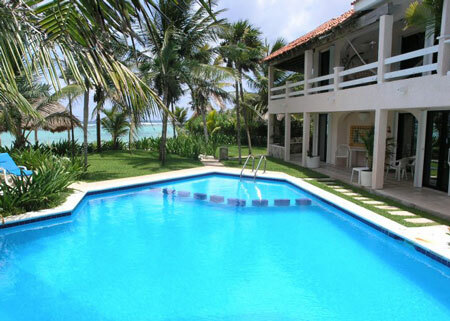 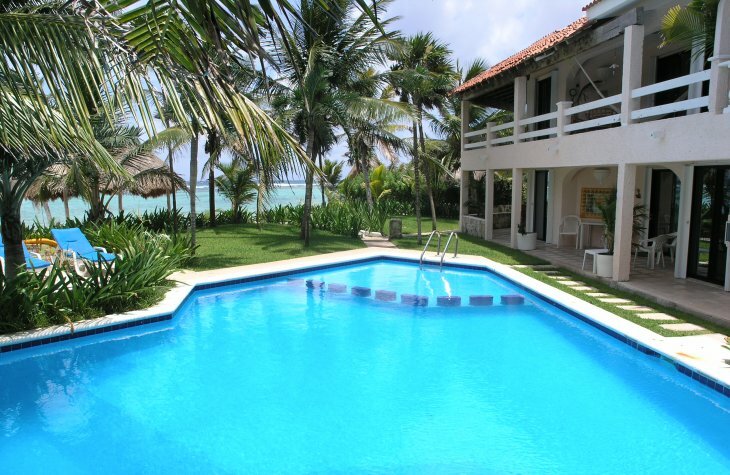 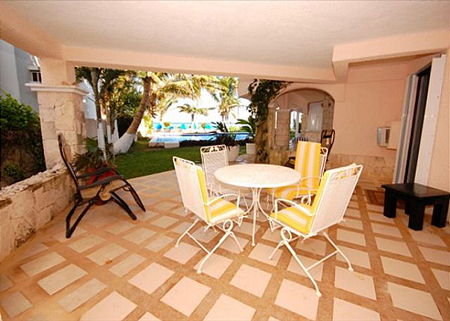 The upper level condos have a view of the pool, beach and sea from their exterior terraces. 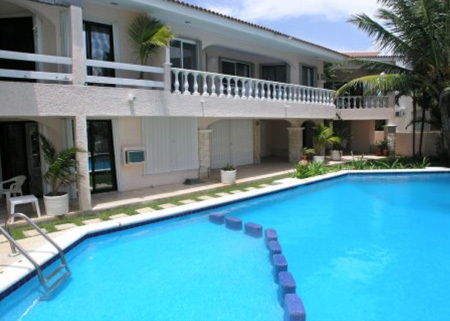 Glass sliders open from the living rooms, master bedrooms and (in some cases) the second bedrooms, onto a pool patio or ocean view terrace. 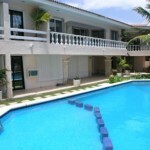 All the condos have easy access to the pool and beach. 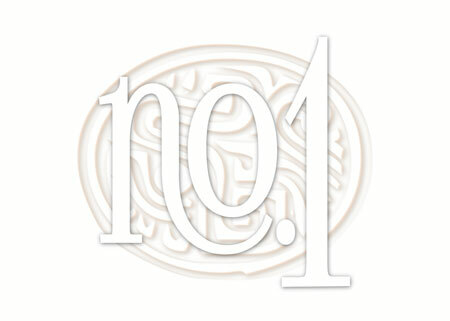 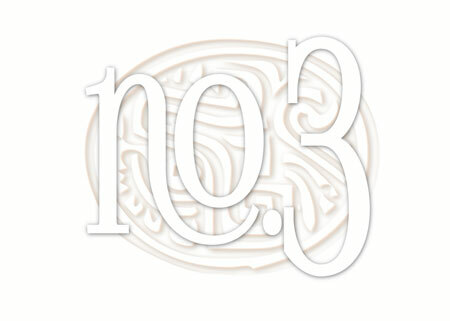 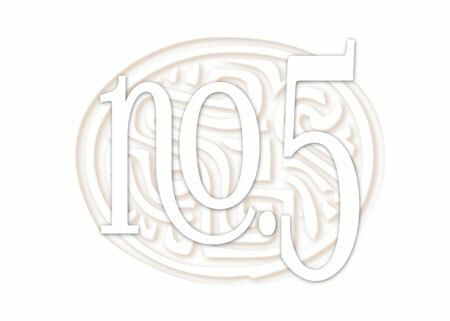 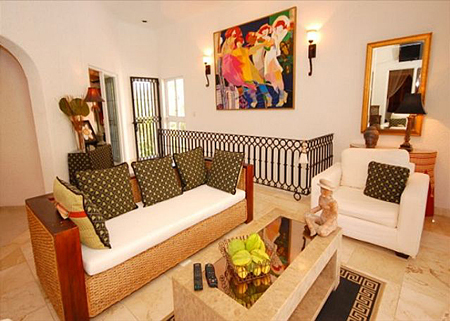 Each condo is individually decorated reflecting the personal taste of its owner. 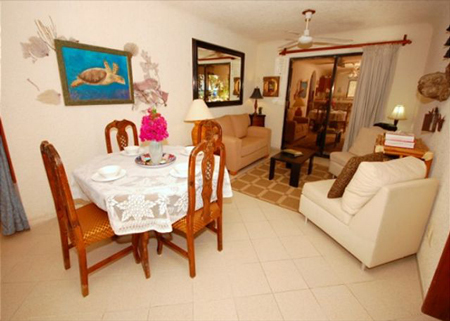 They are all two bedroom, two bathroom condominiums with fully equipped kitchens, living room, dining area, and an exterior covered terrace or patio with furnishings. 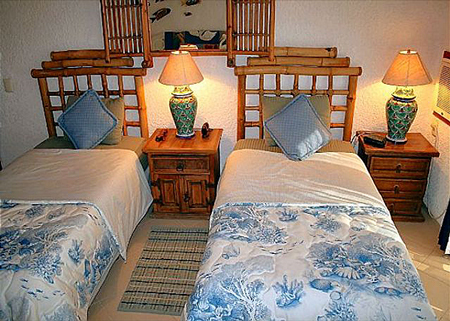 Special: 15% off for new reservations with stays during April, 2019. 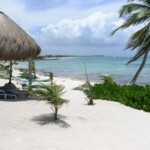 Above rates include the 19% Mexico tax. 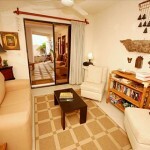 Maximum 2 people in one bedroom condo. 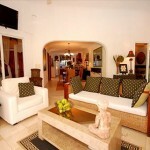 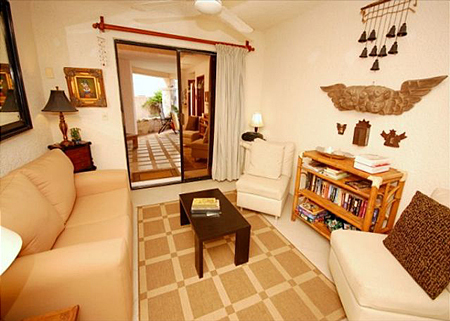 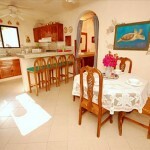 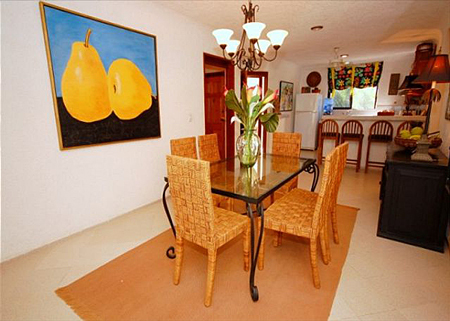 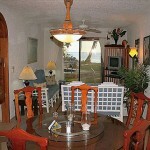 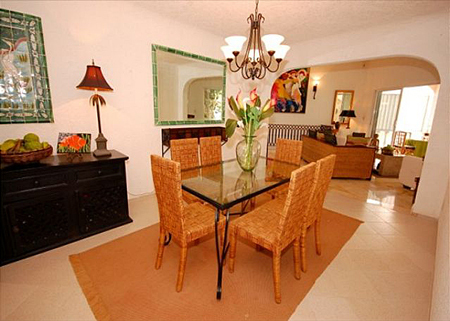 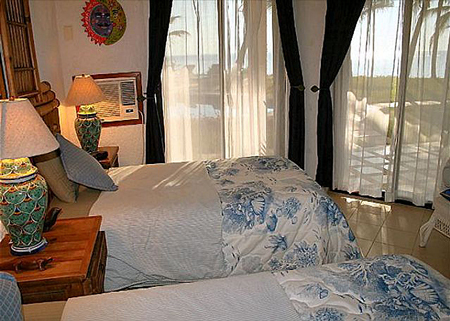 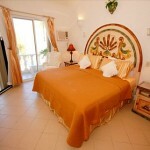 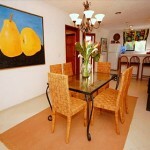 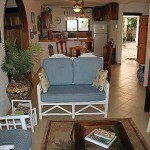 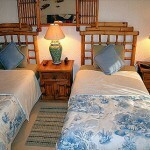 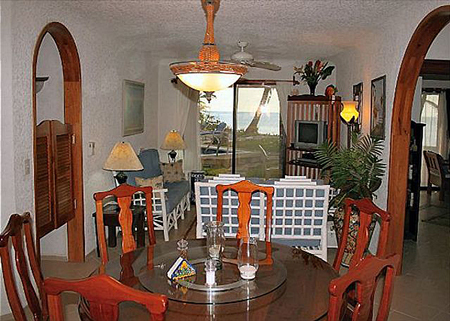 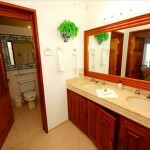 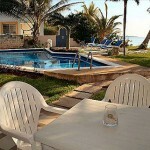 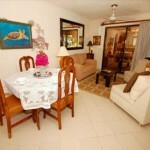 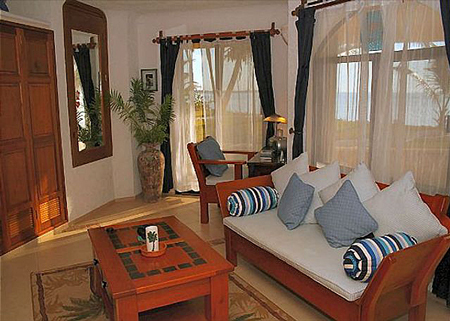 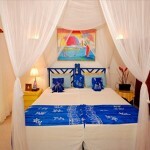 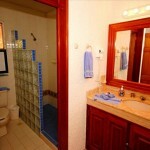 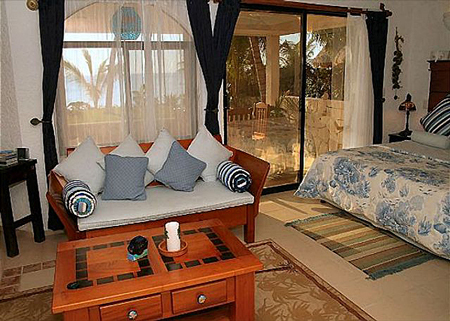 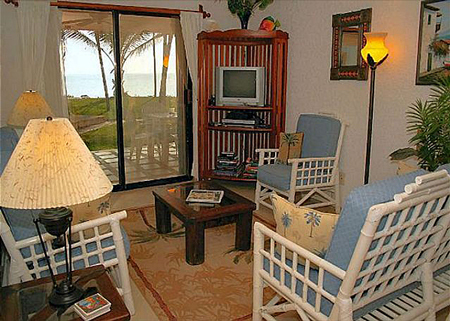 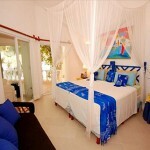 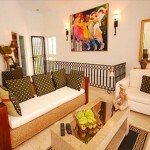 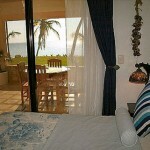 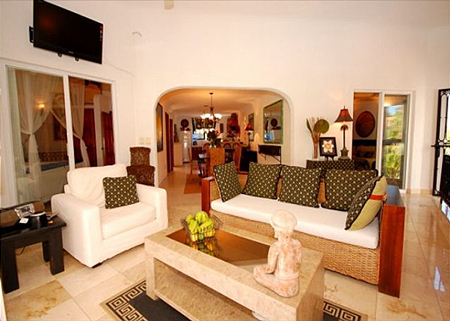 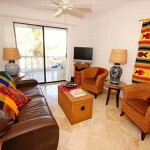 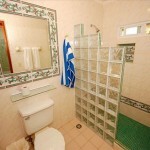 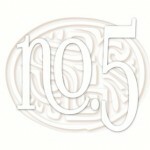 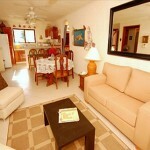 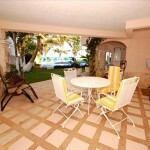 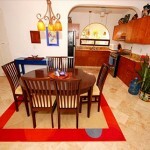 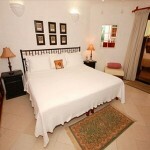 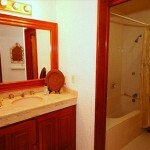 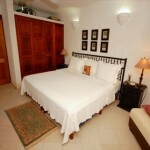 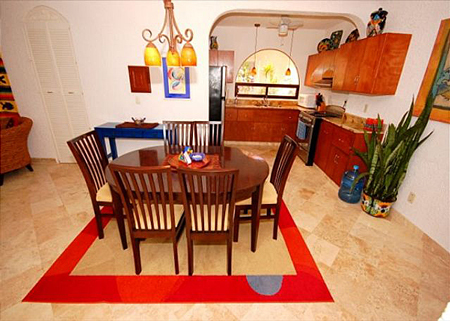 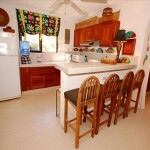 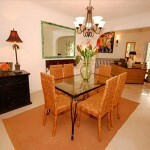 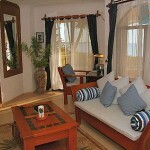 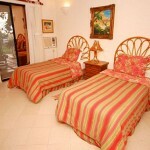 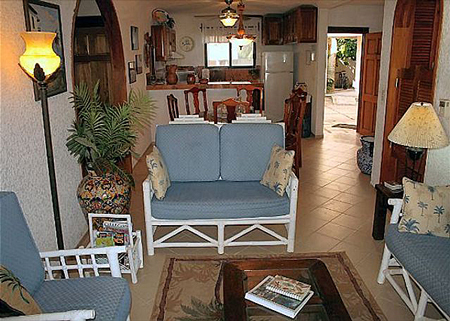 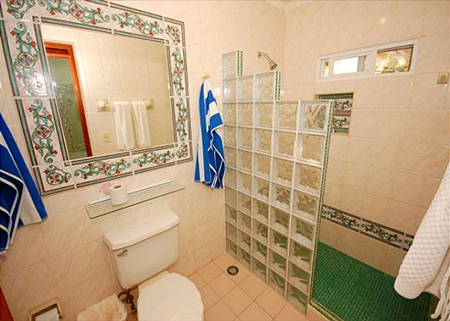 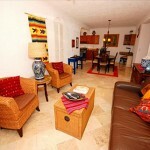 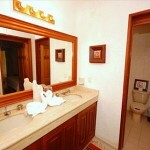 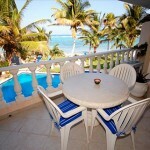 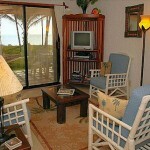 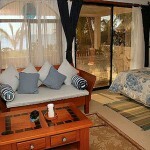 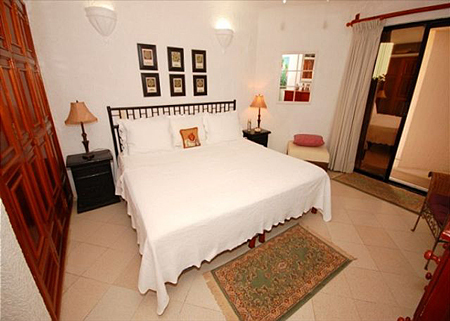 Maximum 5 people in two bedroom condo (add $25.00/nt for 5th person). 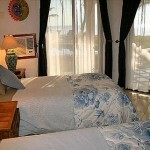 Queen sized air mattress provided for 5th person. 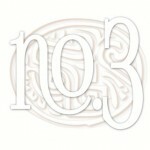 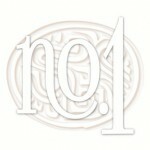 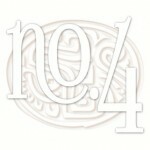 Please request.